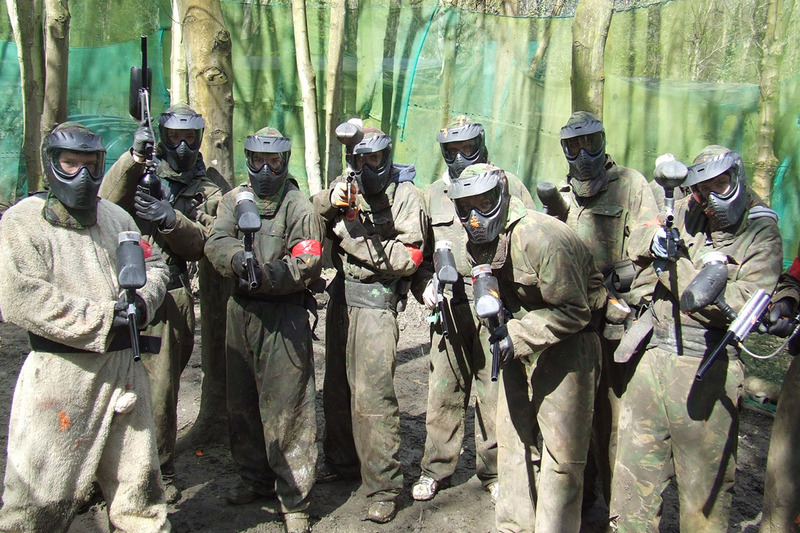 Why leave Paintballing to the Stags? 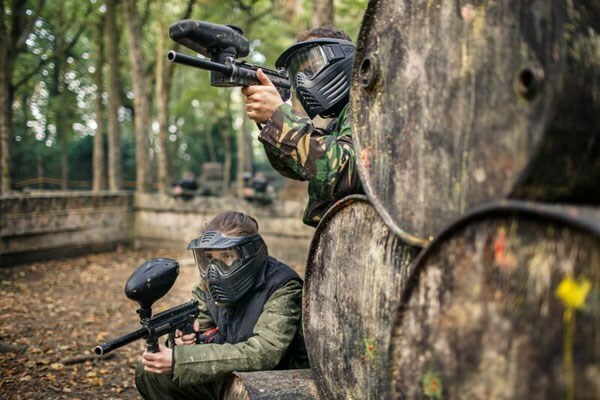 Get the girls together and shoot your way to glory on your Hen Party with this fast and fun activity! If you fancy yourself as a bit of a GI Jane, you will love this combat experience! Unlike other Paint Ball venues, this activity is situated in a rural location for the most authentic experience. The course designers have integrated some of the best features from paintball sites across the globe, to bring you 5 exciting zones, each built within a wild, woodland environment. You and your fellow hens will be provided with all your gear and go through a quick safety brief with your experienced marshal. Then it’s time to take to the course to let battle commence! Hover your finger over the trigger and feel your heart thumping as you wait for the marshal’s signal. Then FIRE! As you work through your 5 zones, there will be plenty of time to work on your tactics! 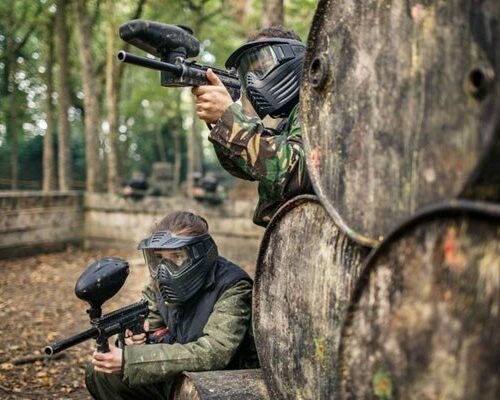 Alternate between team play with your fellow hens, or decide to fend for yourself, as you aim to collect all the markers and avoid being in the firing line! 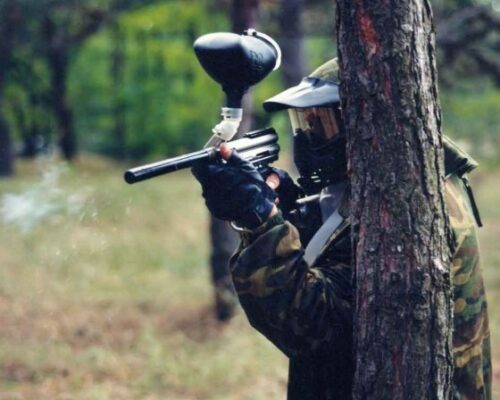 Strength of Paintball Guns can be adjusted. We recommend warm, comfortable clothing. 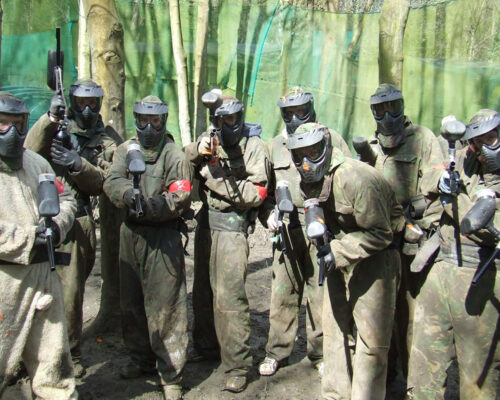 Extra Paintballs can be purchased throughout the session at £6 per 100. For similar Hen Party Ideas, why not check out our HEN CLAY PIGEON SHOOTING.